Pitched into the maelstrom of air fighting in the summer of 1940, twenty-four-year-old Gordon Olive barely lived to tell this extraordinary tale of courage and endurance. As Britain fought alone for its survival, 'the Few' of RAF Fighter Command took to the air grievously outnumbered, many reaching breaking point, exhausted physically and mentally by unrelenting, intense combat. 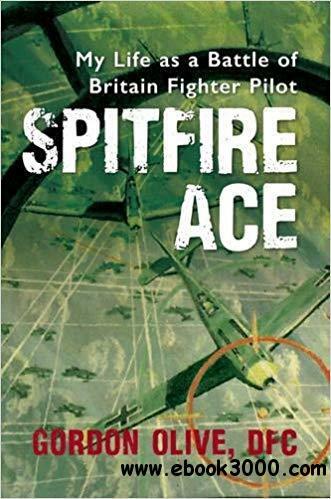 Gordon Olive flew the iconic Supermarine Spitfire for over 125 missions above London and the south-east of England in the white heat of the aerial battle for supremacy of the skies. One of the most heavily engaged pilots of the Battle, he shot down ten enemy aircraft. This is his story of what it was like to dogfight with Messerschmitts at speeds of 400 mph, experiencing G forces close to blackout, at one moment to be drenched in sweat with exertion, the next to be freezing at 25,000 feet, to smell the cordite of your own fighter's machine guns and feel cannon shells explode against the back of your armoured seat. Illustrated in colour with forty unique paintings of the aerial battle of summer 1940 by the author.